If you own a small business, planning for your insurance coverage is one of the most crucial aspects of business administration. It doesn’t matter if your business is one in which high risks occur, or if your business is quite low in the risk department; you need insurance. While you might try invoice discounting to get quick access to your sales invoices’ cash, it may not be enough to cover a big accident or disaster. Businesses are continually vulnerable to various liabilities that could potentially put the future of your livelihood at risk. 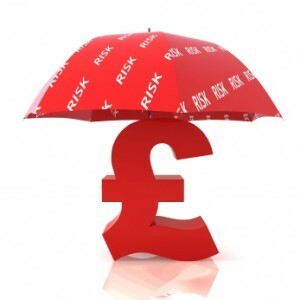 In some situations, business insurance is actually mandatory. In the past it seems like dealing with possible risks was only a problem for large corporations. However, in today’s world this task is also a part of the small business industry. Many insurance companies are well versed in the specific needs of small businesses and they can provide you with adequate coverage for your needs. Additionally, the insurance company can advise you regarding any possible business insurance requirements you may not have considered. When insuring your small business keep in mind that the business will probably grow and so your business insurance policy should be able to grow as well. Several types of coverage need to be considered. For instance, this coverage might consist of worker’s compensation, contractor’s liability and employee benefits administration including company pension rights. By choosing an insurance company correctly, they can help you with your growing insurance needs as your business continues to expand. When the unexpected happens that affects the operation of your business, then your business insurance can help. Many small business owners find themselves thrown off guard in these situations. By having adequate insurance coverage, it gives small business owners peace of mind and they know that even though an unforeseen event has occurred, their business can keep running smoothly since it is protected by insurance coverage. Some other kinds of coverage that are important to small business owners include coverage to protect them against any kind of liability, on the part of customers or employees. Without insurance, liability claims can be quite devastating for a small business. Without a doubt, insurance coverage can be tricky and confusing. However, when you are a small business owner, this coverage is essential. By finding a properly trained insurance company, they can help navigate you through the choppy waters of small business insurance coverage. Well I think my website business is relatively risk free and insurance isn’t necessary. Next summer I might be going into business with a friend of mine though. That kind of business is much more likely to need some insurance. So it’s something I’ll have to talk to him about. That last paragraph about finding a good company to walk you through it is very important. There are all types of things you can be liable for that you’d never think about. I have an actual brick and mortar business, so the liabilities are higher than if I was web based.